Most weeks we have the following activities on a Sunday morning. Worship meeting featuring bible based teaching, singing and uplifting music from our adult and young peoples brass bands and choirs. The meeting is followed by tea, coffee and biscuits. 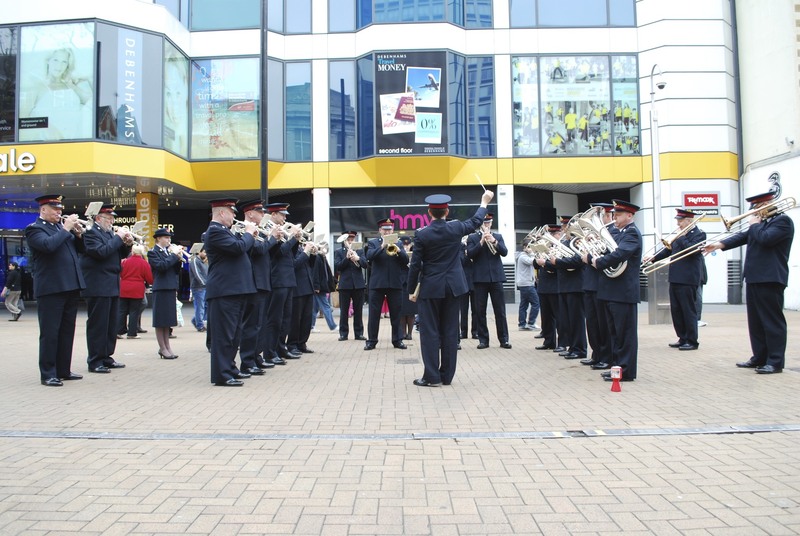 The Senior band play music in Croydon High Street outside of the entrance to The Whitgift Shopping Centre opposite HMV. Bible stories, songs and games for children aged three to six. Bible stories, teaching, activities and games for children aged seven to twelve. Bible teaching, discussion and the occasional games for young people from thirteen years old. Once a month on a Sunday we have a Walking Group and also on a different Sunday we play football. See the Monthly Activities for more details.